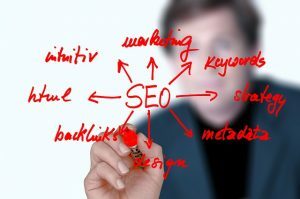 SEO has an important place in any business marketing strategy. Constantly optimizing your content and website for search engines is the top priority of any marketer out there. You are doing SEO for a long but still not getting results. You know why? You are making some common SEO mistakes like others. No matter how much time you spend in your SEO if you don’t fix those mistakes you are doing then the results are hard to come. The thing is SEO is hard in 2018 and added to this if you make common mistakes in SEO than sorry to say but you are not going to rank in Google any sooner. In this article, I am gonna list a few common SEO mistakes that most people make and how to avoid them. Let’s dive into the main content. This is a mistake that most newbie content marketers make. When they fall short in content or don’t find themselves in a shape to write about a certain topic by themselves, they copy others content. Sometimes they just go and copy paste others content on their site and sometimes they use cleverly it by flipping sentences. But they need to understand that thin and copied content is not going to work anymore. If you are publishing non-original content then you are just wasting your time, nothing more. While I agree that there is nothing like unique content on the web because every topic on the web is so much overwritten but original content still exists. Your content may be inspired but not copied. Google does not always penalise websites for thin content but Google always dep burry pages with thin and copied content in SERP. So stop copying content as a whole anymore. Publishing original content is not enough. If you are just publishing content for the sake of publishing than you are doing the biggest mistake. Start investing your time and money in creating high-quality content as content quality has been identified as a major ranking signal. By high quality, we generally mean content that addresses users concern, long content and super detailed content. So start creating such content if you want content marketing to work for you. The importance of Keyword optimization in SEO has reduced a little in these years with a major Google update but still, keyword optimization is important. Thus choosing the wrong keywords can be a mistake. If you chose the wrong keyword, your SEO efforts can go all in vain. Start doing keyword research and choose keywords that describe your page content, have good search volume and less competition so that you can rank fast and easily. To do keyword research, use some tools like AdWords or ubersuggest. Some premium tools you can think of using for keyword research is Kwfinder and SEMrush. Don’t miss our article about the right tools to make your SEO shine. That’s another common mistake most of the time beginners make. They think the keyword is very much important or a way to game the algorithm and thus they stuff keywords throughout their content. This is a huge mistake as this can get you penalised by Google. Google has many times stated that overusing of keywords is punishable and it hurts your SEO. Keyword stuffing makes your content unnatural and is only meant for search engines. Stop using target keywords again and again in your content. Google is launching an LSI(latent semantic indexing) program. This program can understand your page content and target keyword without the need for stuffing keywords. Meta information is important for both search engines and users to understand your page content. Many people avoid them and this cost them a lot. Meta title and description have been recognised as a ranking factor so ignoring them is a mistake to avoid. Start crafting meta titles and meta description for your pages. Craft SEO friendly meta titles with a target keyword that catches readers attention. And write SEO friendly meta description with target keyword, but don’t stuff keywords in your meta description. This is very crucial. If you are not focusing on user experience than you are doing a huge mistake. User experience is a ranking factor so how can you forget this? Start focusing on user experience. Make sure the site is more usable and have a very good navigation system and design. And make sure your website loads fast. A website that takes ages to load will never perform well on SERP. A site load time below 2 seconds is considered good. Start improving your site load time and invest in a good web design. Poorly designed landing pages can lead to high bounce rate and can impact rankings negatively. Mobile devices are most used in 2018 and when compared, the volume of mobile searches are much more than desktop searches. If you still don’t pay attention to your mobile site you are making a mistake worth avoiding. Make sure your site design and content is responsive and mobile friendly. Backlinks are important for SEO and rankings. Link building should be one of your top priority. But many do not feel the need to build backlinks. If you are one of them then you need to fix this. Launch a link building campaign and try to acquire high-quality links. Don’t use spammy link building tactics, you can get penalised for this. It has been seen much time that social signal affects SEO. Still not paying attention to social media channels is a mistake. The stronger social engagement you get the more SEO benefits your business receives. Start using social media. Create your brand profiles on social media and share your content regularly on them. Include social media marketing in your marketing strategy. Technical SEO is yet another very important aspect of SEO. If you are making mistakes in this sector, then you are just wasting your on-page and off-page SEO efforts. Make sure you get A grade in technical SEO aspect. Check your technical SEO aspect and fix mistakes you are making. Use an SSL certificate, use XML sitemaps, schema markup, breadcrumbs, robot.txt files and a few other things. This was some easy to avoid SEO mistakes. But if not avoided or fixed, these simple mistake can negatively impact your rankings. Hope this article will help your business get ranked on Google fast without wasting time. Thanks for reading and let me know what you think about SEO mistakes in the comments.